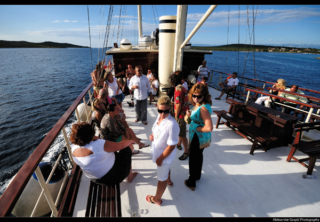 With the Bol excursion visit the most popular Croatian beach, Golden horn, and enjoy sailing along the island of Brac in a relaxed atmosphere on the beautiful yacht. 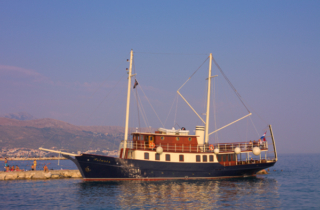 Polaris crew will take you to the Bol , picturesque port on the south coast of the Brac island. Our excellent chef will prepare delicious lunch for dear guests. Above all, feel the charm of Dalmatian small town of Bol , beautiful streets, memorable pathway leading to the “Golden horn” beach and finally enjoy swimming on this unique and famous beach . 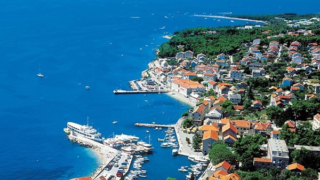 You will depart from Bol at 16:00 and even more enjoy sailing along the coast of amazing island of Brac. Prepare your camera because we will sail into the port of Split with the sunset colors. Choose your own ideal place on “Polaris” spacious decks… and relax! Departures: every Tuesday and Thursday, starting May 16th 2019. Don’t forget your camera, swimm suite, towel, sunglasses, sun cream, hat and the most important – lot of good mood! Polaris is docked in Split city port , just in front of a promenade ” Riva “. 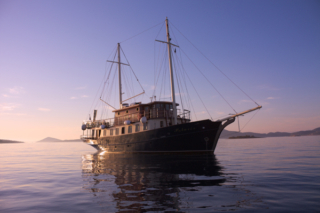 BOOK NOW YOUR BOL EXCURSION!